The Payment Tracking page, by clicking the Thumbs Up icon next to to the desired installment. The Award Details tab, within the Request Summary page, by clicking the Thumbs Up icon. Both of these options will release the scheduled payment for fulfillment in CSuite. Once the award has been approved in SLM, it can be paid in CommunitySuite. Navigate to the scholarship award in CommunitySuite. 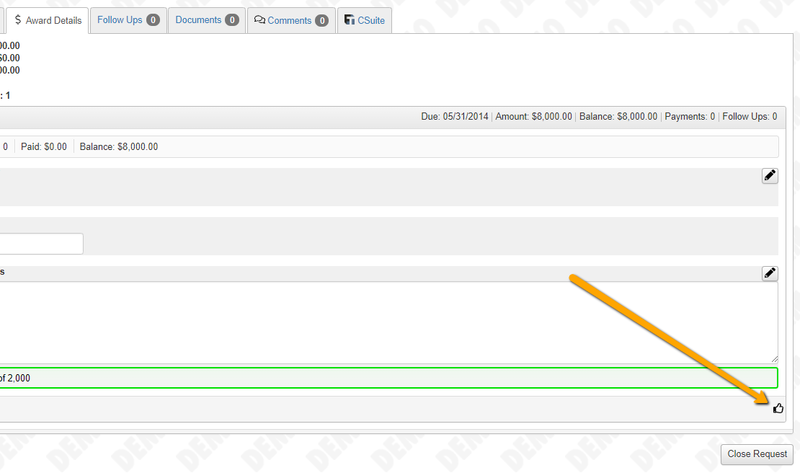 In the Grant ID column of the Recipient Payments table, click Pay to create a Grant Voucher. The regular steps for paying a scholarship can be used to finish the process. Once the payment has been processed through CommunitySuite the information will be recorded back to the individual installment in GLM, and you will not be able to Unapprove the installment.